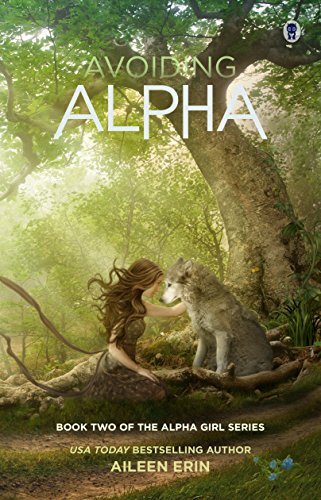 ***Book 1, BECOMING ALPHA, is free for the month of September***Seventeen-year-old Tessa McCaide has come a long way since her abrupt entrance into the world of werewolves, but she still has just as far to go before she’s comfortable with turning full wolf. In the meantime, she’s avoiding the topic of shifting to four legs any way she can. Thankfully her mate, Dastien Laurent, is quite the distraction. When she finds her best friend, Meredith, getting sick in the bathroom, Tessa knows something’s majorly wrong. Meredith was cursed years ago, and the dark magic kept her wolf dormant—only now the wolf is awake, and that same spell is killing her. Tessa has no intention of sitting around while Meredith wastes away. Even if it means playing with magic she doesn’t understand, she’ll do anything to save Meredith’s life. Including bargaining with the local coven of witches and its crazed leader, whose only goal is getting Tessa to join the witchy ranks. Can Tessa save her friend without losing herself? ***A 52K Word Novella***THE ALPHA GIRLS SERIESSeptember-Only Promotion!1. BECOMING ALPHA is FREE!2. AVOIDING ALPHA is FREE!3. ALPHA DIVIDED is 1.99!4. BRUJA is 2.99!5. ALPHA UNLEASHED…releases September 22nd!